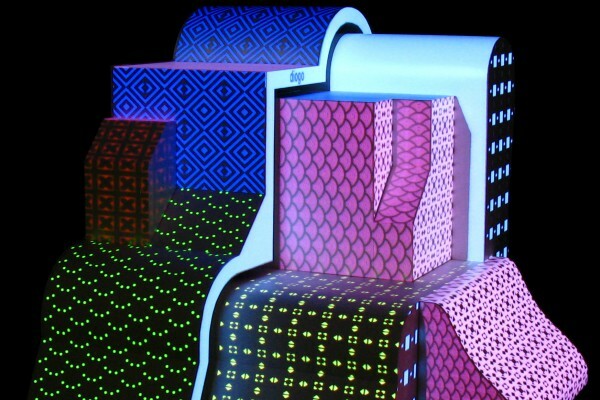 PATMAP is an augmented sculpture customized in real time by the audience who may choose colors and patterns for each face of the sculpture and create unique sequence of animation. 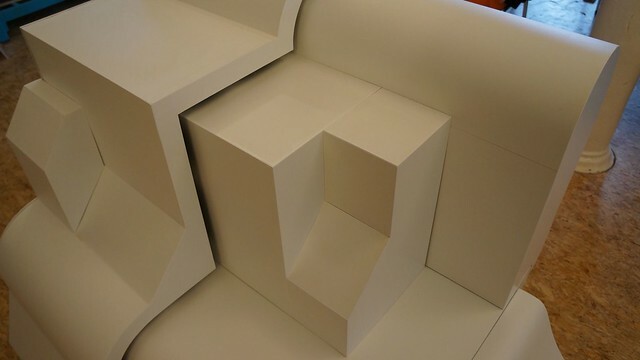 When people touch the sculpture, the aesthetic transforms itself, creating movements and synchrony. 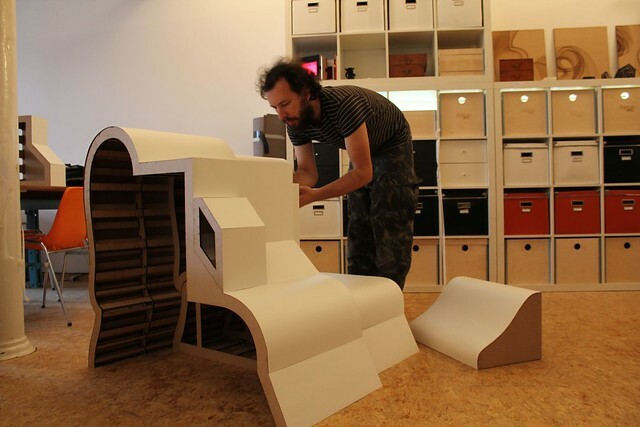 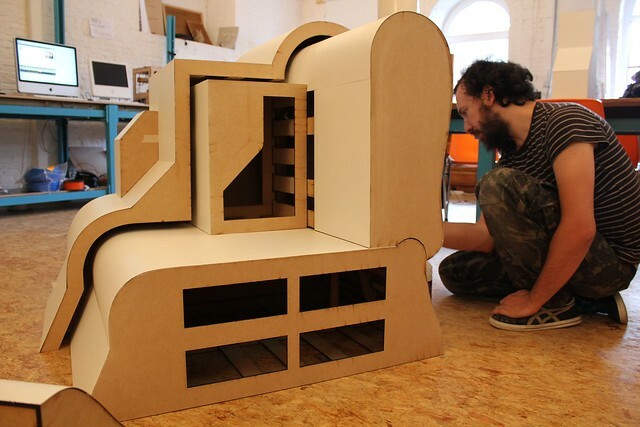 Marcio Ambrosio is invited at FabLab.iMAL to produce an european copy of PATMAP. 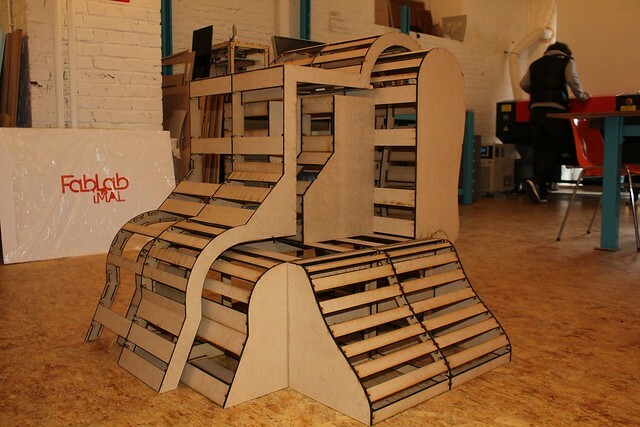 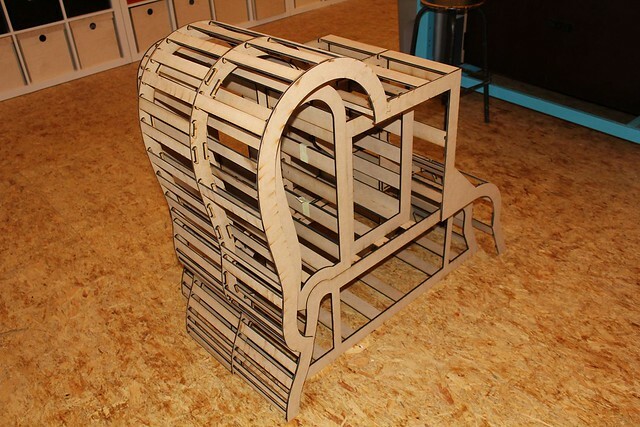 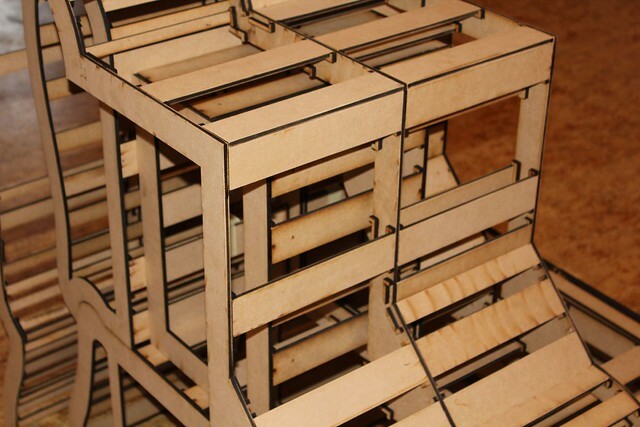 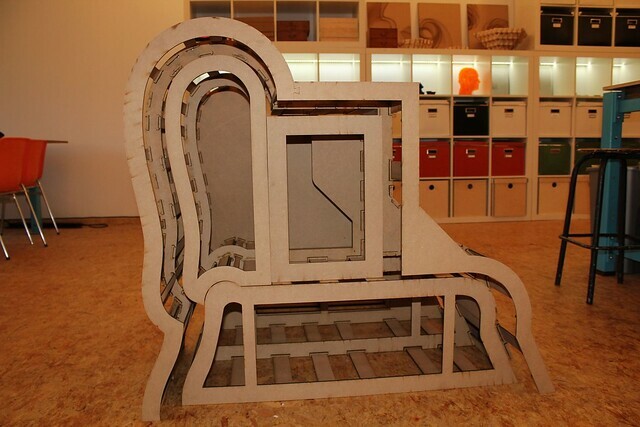 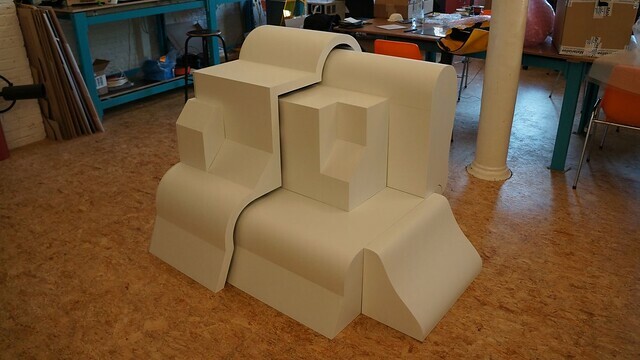 He used FabLab.iMAL's laser cutter to create the different pieces of the sculpture. 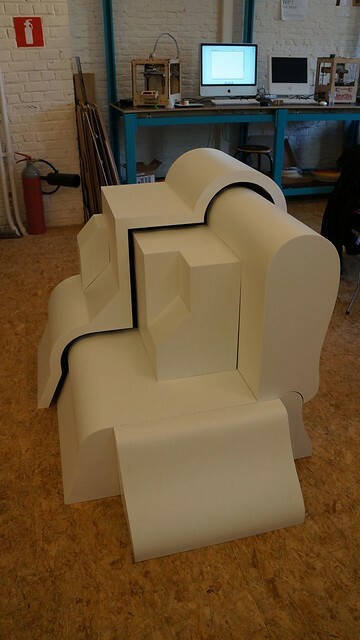 He then recovered it with Formica and placed sensors inside the sculpture which will modulate the video mapping projection according to user interactions. 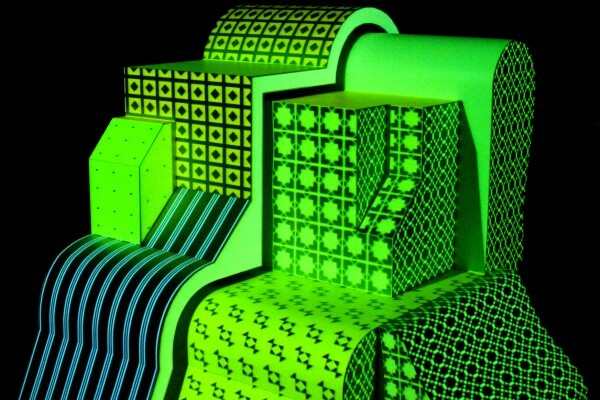 The users design the animated textures and patterns through a custom iPad app. 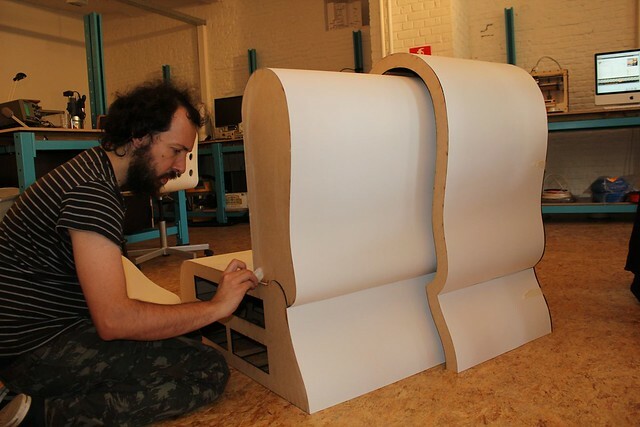 FabLab.iMAL will show PATMAP at the Festival of Creativity organised by Flanders DC, 10-11 November 2012, Turnhout.